All Pharmstandard operating companies have a functional and constantly improving quality management system. The Group commitment to comply with the GMP standards is the prerequisite for extending cooperation with companies in the EU and worldwide. Its Quality Policy reflects Pharmstandard Group priorities and objectives officially adopted by the management in the area of quality management. The quality management system includes a set of activities systematically executed to ensure the compliance of the product quality with the requirements approved by the normative documentation and the required customer properties (quality, efficiency, safety). The quality of pharmaceuticals is defined as their compliance with all the registration requirements, manufacturing standards (technology, manufacturing site, personnel) and specifications. Quality assurance of the manufactured products is the key priority of the Group management. All the Group companies run the document management system compliant with the GMP and ISO requirements. This system is aimed at timely providing the business units with the necessary updated documentation in the scope and condition sufficient for successful process management to ensure manufacturing of high-quality, high-performance and safe pharmaceutical products. All experts working for the Group companies undertake compulsory GMP trainings in leading Russian institutions specializing in training pharma professionals in the good manufacturing practices and pharma quality control based on the best international practices. It is highly skilled and competent personnel that is the main factor ensuring Pharmstandard`s continuing success and leading position in the Russian pharmaceutical market. Another key element of the quality management system is the quality service which has been set up at Pharmstandard companies. Control over the quality of raw materials and supplies, intermediates, bulk and finished products is exercised by highly skilled experts of the quality service according to the authorized methods and with the use of modern close control equipment. Only those raw materials and supplies are approved for the manufacturing process which have undergone the incoming control and got the corresponding permission for further use. The manufacturing process involves monitoring of the key process parameters, monitoring of the environmental parameters (microbiological air control, control of equipment, clothes and personnel`s hands etc.) and quality control of intermediates and bulk products. Finished products are not subject to sale until a representative of the quality management confirms in writing that each batch of the finished products has been manufactured and undergone quality control in compliance with the requirements of the registration dossier. The quality service also undertakes investigation regarding product quality claims and complaints. Each claim and complaint is registered and investigated in accordance with the established procedures. Following the findings, a corrective and preventive actions plan is drawn up. Its implementation is meticulously monitored and the efficacy and performance of the undertaken corrective and preventative actions are evaluated. To ensure the compliance with the GMP standards, at constructing and tooling of new manufacturing facilities, as well as at upgrading of the existing ones, Pharmstandard Group companies use modern materials, innovative technologies and equipment by the leading European producers. All the processes, equipment, premises, methods and systems are validated. Validation is an element of the quality assurance system and an integral part of the entire process of development of a pharmaceutical product and its manufacturing technology. Validation is a set of activities to result in documented confirmation that a certain established manufacturing procedure, control over the object of validation lead to the guaranteed expected quality of the pharmaceutical product. The system of internal audits has been developed and successfully implemented at all Pharmstandard companies with further effective functioning. Such audits are conducted by a group of qualified experts working at the companies. The purpose of external audits of raw material manufacturers/suppliers, third party contractors is to verify their compliance with the GMP and ISO requirements, as well as Pharmstandard JSC requirements, and to check the due quality of the products and services to be delivered. Internal audits (self-inspections) at Pharmstandard Group companies are conducted to evaluate the efficacy of the quality management system, to improve its performance and to determine further developing and refining actions. External and internal audits (self-inspections) are conducted in accordance with annually adopted schedules at a stated time and regular intervals. All Pharmstandard Group companies are subject to regular external audits, conducted both by the state agencies of the Russian Federation (e.g. by the Federal Service for Surveillance in Healthcare), and by independent European and Russian auditors. All the Group manufacturing facilities fully comply with the Russian standards. 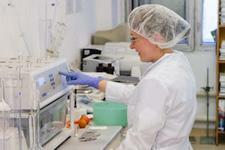 Phs-Leksredstva JSC and Pharmstandard-UfaVITA JSC production sites are EU GMP-certified.